Mohammad Hossein Gholamzadeh (b. 1986, Tehran, Iran) holds a BFA in Sculpture. Along with a desire for technical perfections in art creation, he has always been interested in the paradoxical nature of the relationships between objects and their usages. Using the same perspective, he has introduced other elements into his work to create a contemporary context for showing both the differences and similarities between historical and contemporary events. 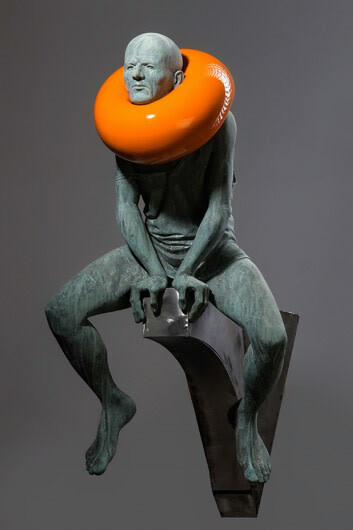 Most of Gholamzadeh's sculptures are figurative works possessing different objects and clothing. These elements often contain allusions to history, traits, lifestyles and ideas. Gholamzadeh's work has been featured in two solo exhibitions at Dastan's Basement, and presented in Dastan's Basement in Art Dubai 2016.